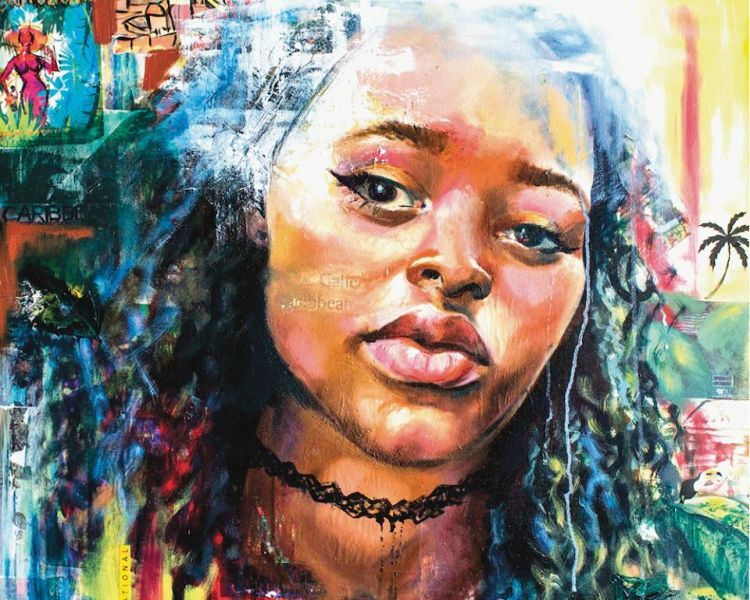 Drift Gallery presents the art of Alanis Forde. Alanis says her body of work deals with her struggles as being labeled a ‘Caribbean artist’ and begins to evaluate what that could possibly mean. She uses representational and stereotypical imagery (palm trees, chattel houses, market scenes and vibrant colors etc.) that allows the viewer to make a connection between the images and the portrait to get a sense of her geographical location... the Caribbean.